I wrote a while back about my mom’s vintage Monalisa sunglasses and how they have found a new owner. Someone posted a comment which then got me interested in them, particularly the brand. I later just casually mentioned the Monalisa sunglasses again to my mom and guess what? I found out that she has two more pairs of Monalisas! Plus she wears one of them almost every day! Even more surprising, the pair is even older than the Monalisa I stole, I mean, borrow permanently from her. 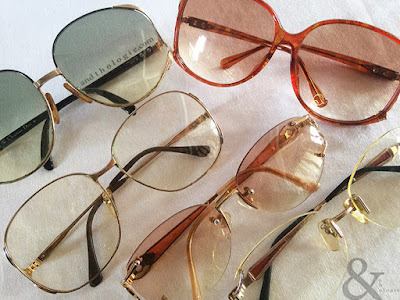 Anyway, my curiosity prompted me to search for Monalisa sunglasses online in particular but got sidetracked to vintage eyewear in general. 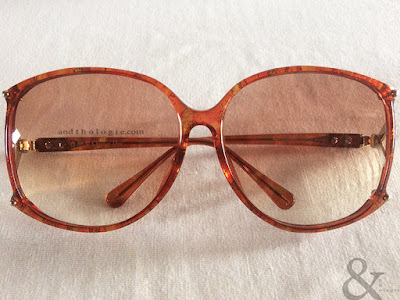 And because I'm fascinated by great designs - the creativity behind them and how they can be recycled and reinvented - I thought it might be interesting to post some of my mom's vintage eyewear including the two Monalisas mentioned above. Just to be clear, I’m not selling these glasses; they go back to their rightful owner afterwards. The Monalisa in the photo above [and directly below] is the oldest and, as mentioned above, still in use to this day. It is in the worst shape of the collection here, and missing a nosepad - it’s a story of a pair of glasses on retainer and an overzealous friend. My mom had it fitted with prescription reading lenses that are slightly tinted. The frames are squarish and in their glory years must have been golden. Notice how huge the frames are? They are bigger in person. The second pair has smaller lenses, a slight cat-eye design and rimless; and the newer of the two Monalisas. I say ‘newer’ in reference to the older one above; it’s still vintage in its own right. The lenses are bifocal. My mom wears this only once in a while, which is why it’s still in a relatively good condition. The lenses are pink gradient to match the overall colouring of the frames. It has an intricate detailing at the temple and the arm has some sort of enamel with slight glitter and three evenly-spaced flakes that give a bit of sparkle if you hold it at an angle. To me, it’s incredible that my mom has these designer glasses considering that she doesn’t have any other designer items, the likes of Christian Dior I mean. These two are the epitome of when glasses were either big or huge. Depending on the size of your face you need little to none sunblock if you have these on. The first Dior here is the one she has had the longest of the two and I remember she used to wear this almost all the time. I think I remember when she bought it, and I do know where she bought it. The store still exists. We were long-time regular customers of that store that spans over two generations - my parents and me basically. 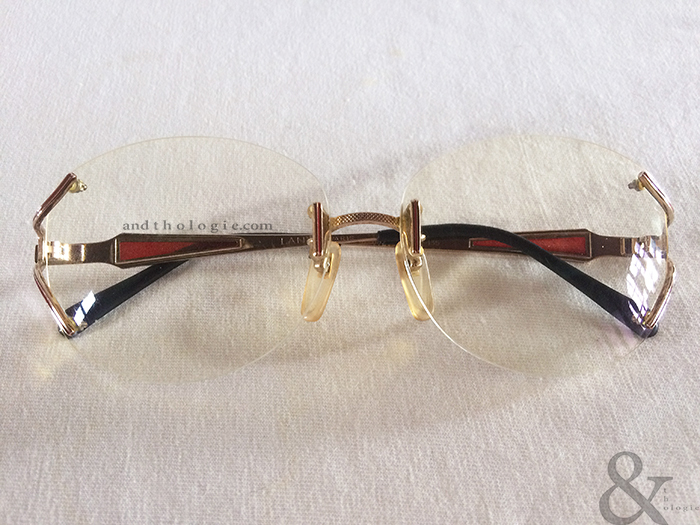 My mom doesn’t wear this Dior anymore; and the frames, particularly the metal rims, and the nosepads are not in the best condition. You know how you identify certain designs or patterns to certain designers or brands? And how you see one detail on an item and a name immediately comes up in your head? I think the ribbon-like detail on the temple of these two Diors are it. It's certainly not the only iconic design of this brand, but when I see them 'Christian Dior' is the only name that pops up, in sunglasses context at least. I think it's interesting that, searching online for this Dior, I found a few similar versions but none are exactly like my mom's. Hers has rims which are black coated material on the upper part and golden metal on the lower. The ones I found are either all black or all beige and one interesting pair have leather trims - I love a fusion of unexpectedly-matched materials even if it’s impractical. 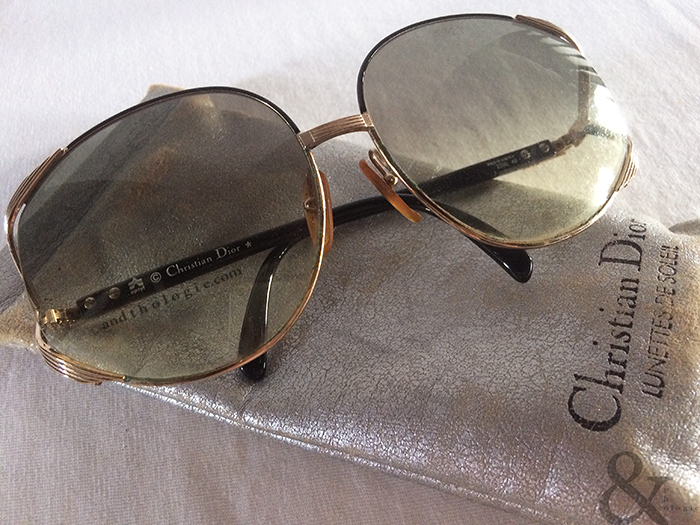 The second Dior is the newer addition of the two, but again still from the 80’s. 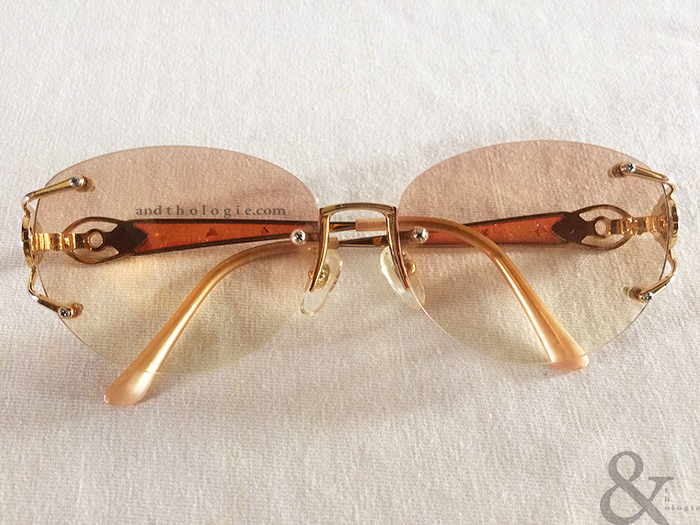 The lenses are bifocal and have a reddish brown gradient colouring. The frames are of plastic material, red and have a marbled pattern with the golden iconic design on the temple. 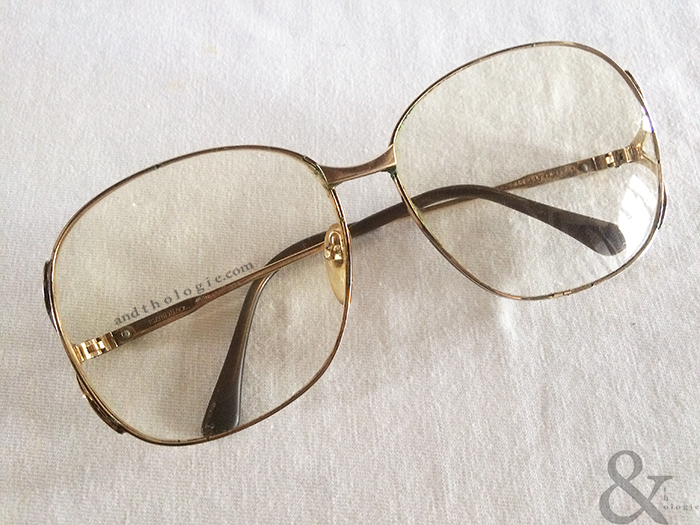 This Dior is still in good condition as, generally, I find plastic frames show less wear and tear as opposed to metal frames. I couldn’t find a similar Dior online; I guess it wasn't a popular design like the one in black above. It might be interesting to know if anyone has this or has seen this particular design somewhere. What can I say about this Lanvin? That it looks like it came from the same design group of the pink Monalisa above. This Lanvin, apart from the oversized Monalisa above, is my mom's second most-used glasses. It’s also in a relatively bad shape; a few loose screws here and there [and one really tight one] and a loose bridge - I don’t even know how or why my mom could still wear these. The size of the lenses are rather similar to the pink Monalisa above, but is less cat-eye shaped than that, and more rounded and oval in shape. 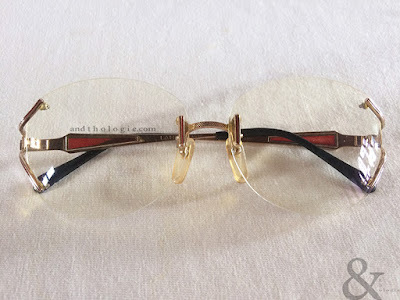 It is also rimless, slightly tinted and fitted with reading lenses. This Lanvin also has some sort of enamel detail on its arm which also has a bit of glitter. The temple is less intricately designed than the Monalisa and has a simple two-pronged detail with red accent.